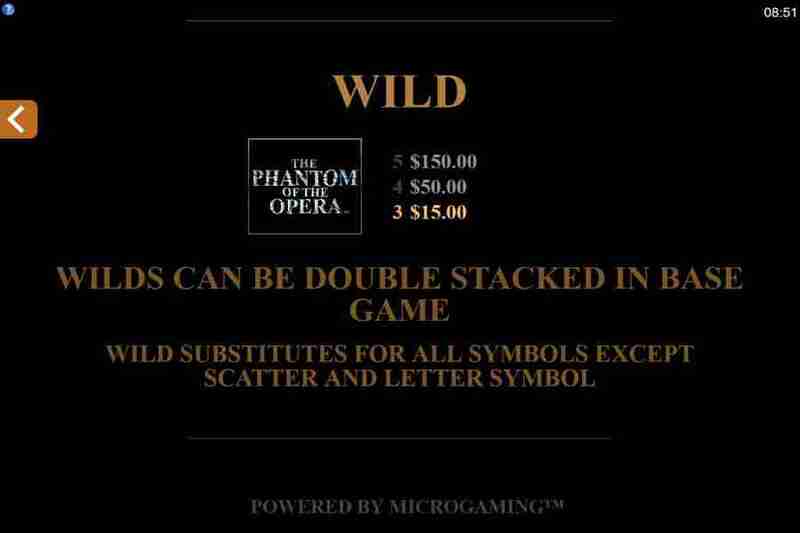 Phantom of the Opera slots has been recently released by Microgaming and they have surpassed themselves with its design and thrilling game-play. 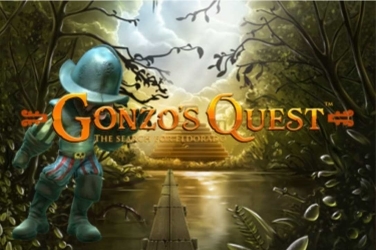 Although there have been many adaptions of this infamous tale this particular slots game is based on the 1989 Andrew Lloyd Webber musical and subsequent movie in 2004. Various characters included as symbols upon the reels while the original soundtrack plays in the background to provide an authentic feel throughout the game. There are 5 reels and 243 different ways to win in this online casino slots all of which are encased in an ornate gold frame. They are found upon the stage of the Opera House while deep red drapes hang at either side. A dark and sinister atmosphere is created with the dark shades of black, purples and reds that have been used in the games design. Yet the shimmering frames which surround some of the symbols add an animated touch which brightens the screen. 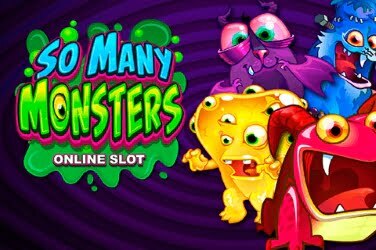 It is an ideal slots for those who like gaming on the go as it can be found while using either a Mobile device or Tablet. However for those players at home who wish to join the audience in this Musical themed game they can still access it via a Desktop. All the symbols that are found on the reels are in keeping with the games theme so players can find a pair of Binoculars, a Red Rose, some Scrolls, and a Vial of Poison. Don Juan and the Monkey are also images that are included in this slots story. 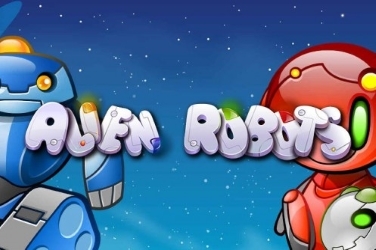 There is a Love Letter which players can see fall onto the reels in this slots game. Not only rewarding players when included in a winning combination it will also help to activate an additional Feature if it appears on the 5th reel. 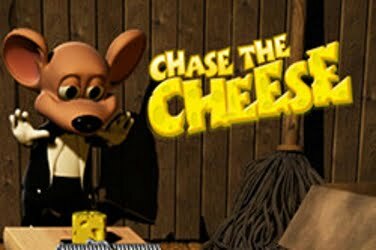 Characters from the movie also play an important role throughout the game and can be useful both in the base game and during some of the Bonus Features. Firstly there is Carlotta who offers the lowest pay out compared to her counterparts. In addition there is Raoul, Christine and the Phantom himself who can all randomly appear in a double stacked format. This can provide players with more chances to increase their winnings which could see some big returns if they are wagering the highest amount. 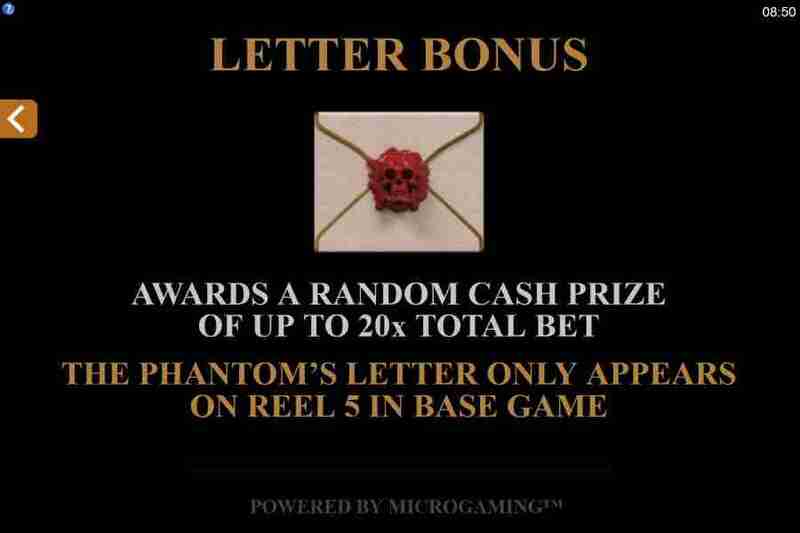 Love Letter Feature – if the Love Letter symbol is located on the 5th reel during any spin the player will be immediately rewarded with a cash prize. This can be anything up to 20x the player’s initial stake and will be added to the jackpot balance. Chandelier Bonus – at random during the base game the player may see a Chandelier symbol fall onto the reels. Should this occur either 2 or 3 reels will become “Wild” so that more opportunities become available to players to get a return on their bet. Wild – the solid silver “Wild” has a matching colored frame which sparkles when the symbols lands onto any position on the games 5 reels. Should it fall it can change any of the Basic Symbols if a win can be found. And it is also possible for this symbol to be found stacked two positions high so that more winning combinations can be created. 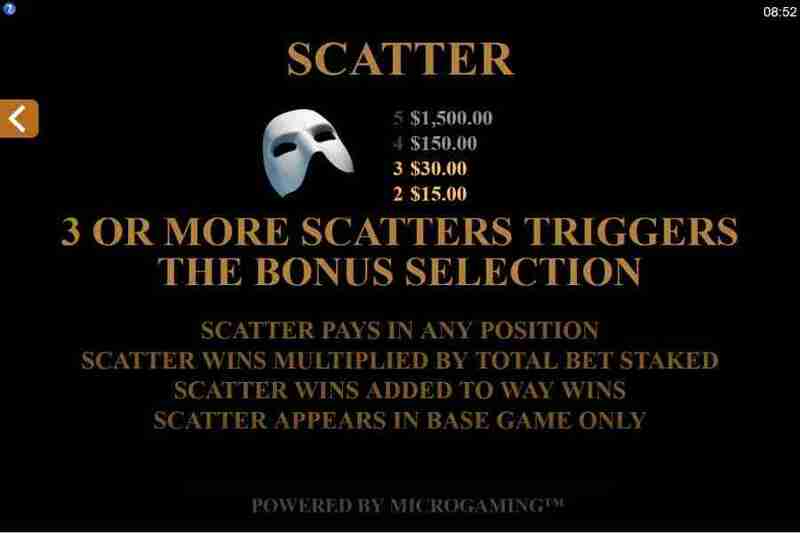 Scatter – a Phantom Mask is this image for this symbol and 3 or more need to appear across the reels for the games main Feature to be brought into play. Now players can choose which option they would prefer to try and aim for the maximum win possible. 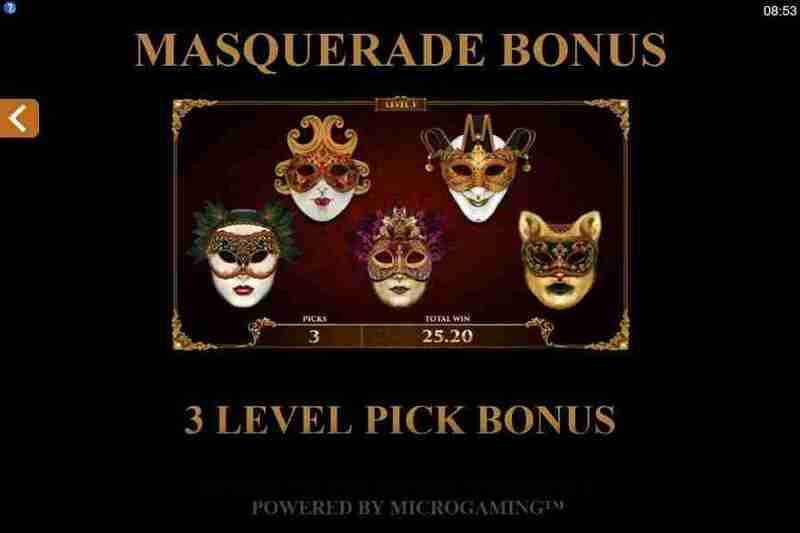 2) Masquerade Pick – now players are asked to choose from a selection of Masks to reveal either cash prizes or more Picks so that the Bonus Round can continue. The first thing players must do is decide on how much they want to wager on the 243 different winning combinations. 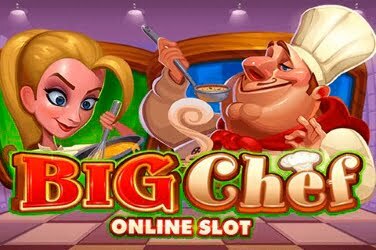 As this ranges from 0.30 to 15.00 with each spin this is an online slots that can be enjoyed by players with any kind of budget. 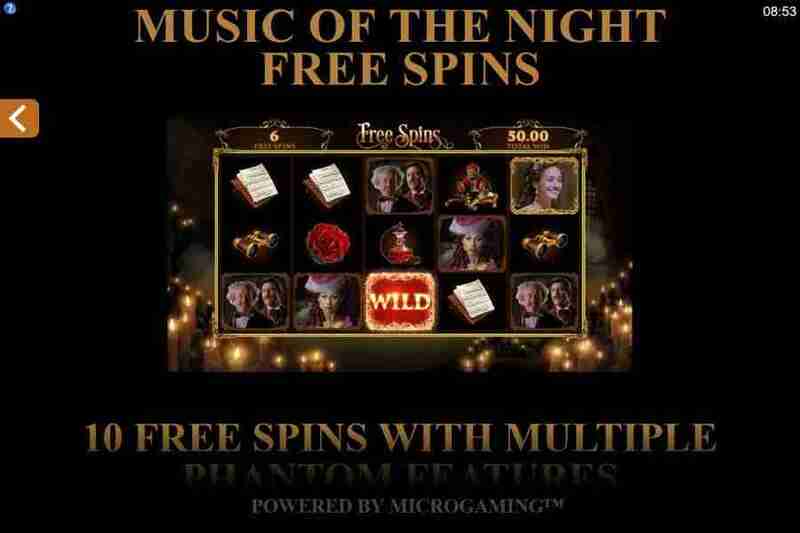 Microgaming have included a huge variety of Features in this slots format. So players will find Wilds which can be both “stacked” and “dancing”, 10x Free Spins, Multipliers and 2x Base Game Bonus Rounds. 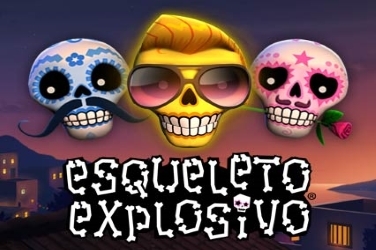 And with so much going on in this fast paced game it may not be an ideal choice for beginners. 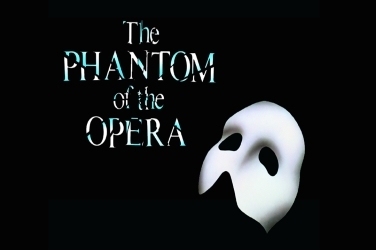 Yet for those who do want to tread the boards in the Phantom of the Opera slots game it offers a Medium Variance with a RTP of 96.57% which is sure to be appealing to both high and low rollers from around the World. 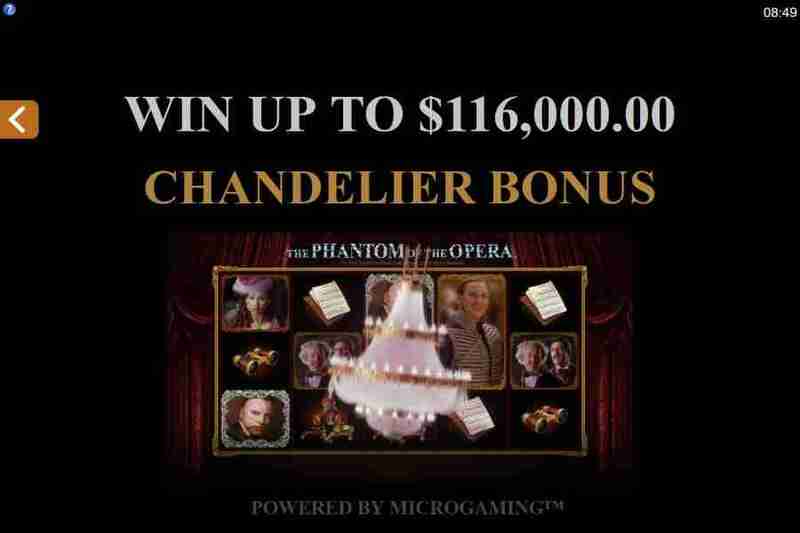 – Come and give Phantom of the Opera here a free spin or visit microgaming casinos to play for real money.